Red Aspen's mission is to inspire women to stand up, stand out and stand together by uniting passion with purpose, and we try to incorporate this mission into everything we do. Our lashes are named after women we find inspirational, women who have found the strength and courage to run businesses, raise families, break the status quo, speak up, and aim high. The first lash namesake on our list is none other than Georgene Frazier, otherwise known as Gigi. In the 1970’s Georgene Frazier was working full time in the fur fashion industry. Her career was just taking off, and her aspirations were sky high. If you judge her position by today’s standards then you’d assume that she was working side-by-side with men and women alike, but the reality was that she was the only woman at the table. Sure, she had many, many female clients to whom she provided exceptional customer service, but she was one of the only women making buying trips to NYC on a regular basis, and certainly one of the only big female players in the business. As I think about the influential women in my life, Georgene is right there at the top of my list. I, along with my 27 first cousins, are proud to call her our grandmother, “Gigi”. Without women like Gigi Red Aspen wouldn’t exist. She was a trailblazer for women in industry, and pioneered the way for future female generations. The course of her career as a working professional laid a foundation for us to start Red Aspen, and it’s because of women like her, who demanded a seat at the table, that I’m able to write this today as a female business owner. Thank you, Gigi, for your contribution in shifting societal norms and showcasing that women can be everything they want to be, and for gracefully clearing a path for us. We know that there’s still work that needs to be done, and I hope that when you see hardworking women pursuing their dreams you feel like you’ve added to their narrative. Thank you. 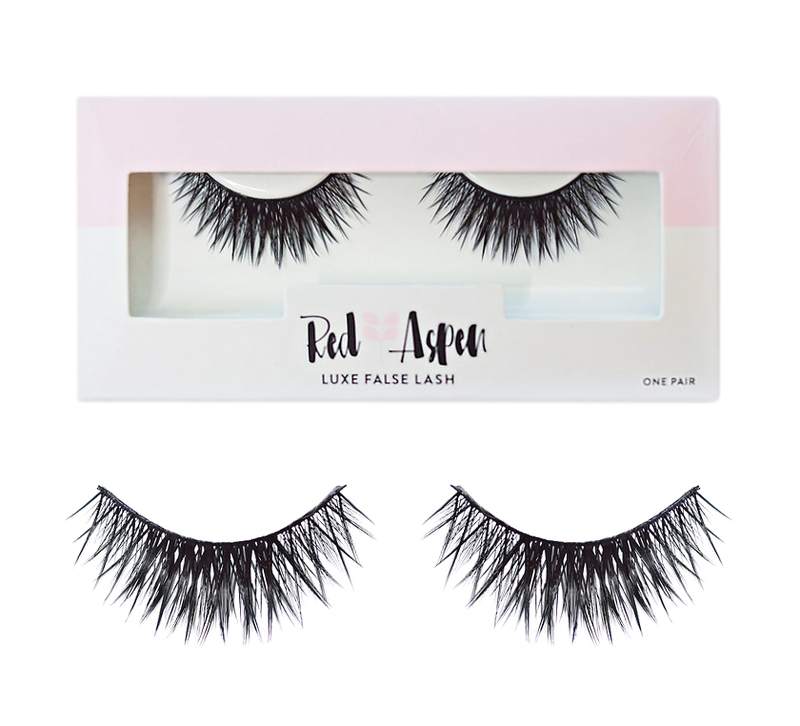 A picture of the Gigi namesake lash!